Is McLaren-Honda Finally On Track Toward Winning Again? Eric Boullier thinks things are at last on the upswing. Last month, the Austrian Grand Prix was cited as the real make-or-break for the partnership between Fernando Alonso and McLaren-Honda, due to a combination of the upgrade schedule and the Spanish driver's ultimatum laid out to his team. This weekend, Honda introduced their "spec 3" engine upgrade, the results of which can already be seen in today's free practice session results. 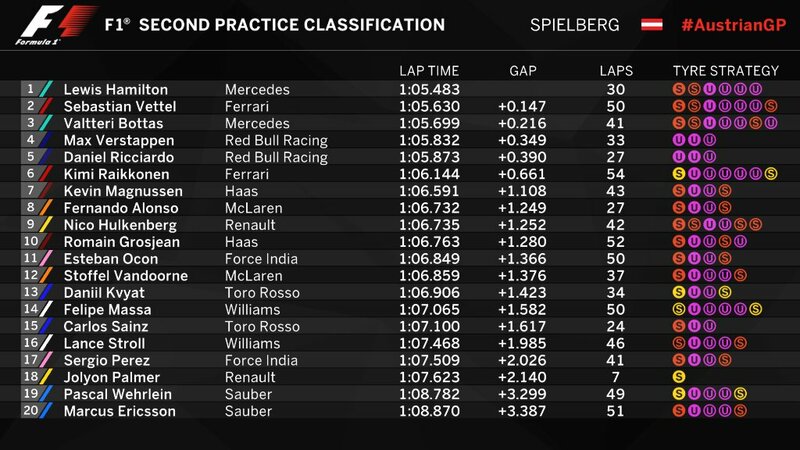 FP2 saw Fernando Alonso and Stoffel Vandoorne placing themselves eighth and twelfth on the practice time sheets respectively, with five teams overall placing behind the McLaren-Hondas. Alonso's best lap was only 1.249 seconds off the time set by Lewis Hamilton of Mercedes. Both of Mercedes' customer teams, Williams and Force India, put down slower times than the McLaren-Hondas in both FP1 and FP2. This may be in part due to Force India's gift of free practice time to Alfonso Celis Junior, a current Formula V8 3.5 series driver. While the delta between McLaren-Honda and the top teams is still painful, their relative pace this weekend has got Eric Boullier hopeful. "I think we can see now we are back on the right path to get back to the front which is where we want to be," said Boullier to Racer.com. Honda's Yusuke Hasegawa is equally pleased, but at the same time, apprehensive of the team's apparent newfound pace, stating, "we are happy we have no issues today as the cars have been running, which is very good [...] It is early to say about car performance with just a Friday practice but so far it looks nice." Boullier also added that a chassis update was complicit in part for the team's apparent season-best pace in Austria. And for Alonso, and his promise to quit? The Spaniard promised to make his decision after the Belgian Grand Prix, at which, McLaren-Honda is expected to debut another chassis upgrade, but as stated above, chassis upgrades are incremental, and are almost never a silver bullet solution to engine problems. If Sunday sees Alonso beating his season-best finish of P9 in Baku, he may just grant his team another weekend or two of leeway... or maybe not. Blunt words from the former world champ. Unless McLaren pulls off a miracle on the scale not seen since water became wine the McLaren-Alonso relationship will likely terminate. Add another to the list of bad career decisions for the Spaniard. Because we'll never be able to. While she's not the only 11-year-old to have that dream, she may indeed have the skills and means to reach F1.